Driving a vehicle was meant to be an exciting experience that brightens people's day with a sense of beauty and freedom, and there is no vehicle that delivers that thrill as well as the 2019 Chevy Malibu. You will not find a more refined and aesthetically pleasing car for anywhere near the affordable price range of the 2019 Malibu. This is the everyday vehicle that was designed to spice up your life with an elegantly sporty look that makes taking your eyes off it nearly impossible. Not only are its looks dazzling in all the right ways, but it is also fitted with features that are fresh and efficient so that things like safety, connectivity, comfort, and convenience are never an issue while on the road. As if this all wasn’t enough though, the performance of the 2019 Malibu is as athletic as its design with an aerodynamic structure and multiple engine options that balanced in power, handling, and fuel efficiency. So, between the stunning style, state-of-the-art feature selection, and powerfully harmonious performance of the 2019 Chevy Malibu it is effortless to see how this vehicle was made to be one of the most enjoyable rides on the market. Sure some drivers are fine with only getting a vehicle as a means to get from point A to point B, but those that invest in a 2019 Chevy Malibu understand that life is not about the destination, it’s about the journey. The style of the 2019 Chevy Malibu is one of its most attractive qualities with aerodynamic sculpting that is graced with personality by implementing voluptuous curves and luxurious detailing. Glossy, athletic, refined, and all around stunning, the 2019 Malibu doesn’t modestly ask for attention, it gracefully demands it like a high power executive at a meeting mixed with a royal march through the streets. Just like the location that gave it its namesake, the 2019 Malibu is able to brighten your days and enrich your nights. Basically, when it comes to looking its best at all times, the 2019 Chevy Malibu is your best bet. Getting more into detail, the front of the 2019 Malibu is less engineering and more art. The sleek accented optional LED lights and one-of-a-kind grille come together in a beautifully cohesive design. Moving around to the rear, you will find it straightforward, and class with its dual exhaust outlets and available LED tail lights. As for the sides, there are curves that visibility brings out the character of the Malibu as a whole. Within seconds of staring, onlookers can easily start to imagine the wind gliding off of its sleek coat as it sores down the winding roads of sparkling tropical location as if it were a wild animal free to roam its natural habitat. The style of the 2019 Chevy Malibu has the power to transport you to brighter destinations even as you travel your daily route, but more importantly, it will gift you with a sense of pride and freedom you never knew you had within you. 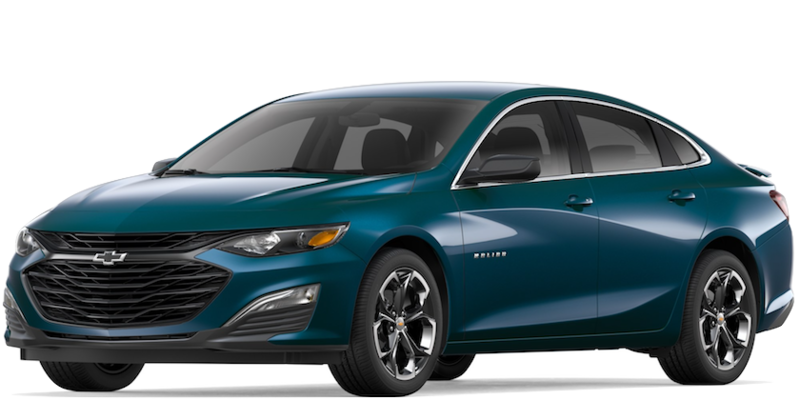 The 2019 Chevy Malibu has a plethora of intelligent features that are designed by the automotive experts Chevy to make the lives of everyday drivers more enjoyable by keeping them safe, comfortable, and connected. When it comes to safety, Chevy has always had a creed to prevent, protect, and respond. Similar to the popular saying that the best offense is a good defense, the best way to protect from a collision, is for it to never happen in the first place. This is why the 2019 Malibu has a number of active features that are designed to be proactive and prevent collisions. The most basic example of this is StabiliTrak Electronic Stability Control System that has become that standard for every Chevy vehicle and will help control them in low-traction conditions. Another standard active safety feature is a rear-vision camera that actives when you reverse so that you will never have to worry about anything sneaking up behind you. There are also advanced preventative features you can add on such as lane keep assist that will warn you about lane switching, rear cross traffic alerts for when you are backing into active areas, and forward safety awareness for additional awareness of what is going on ahead. While preventative measures are the future, and that is why the 2019 Malibu also has protective measures such as 10 standard airbags, a sturdy seat belt system, and a durably constructed body made of the best materials possible. Now that you no longer are worried about your safety, you can enjoy yourself a little with the Malibu’s signature standard 8-inch Chevy infotainment 3 system with voice recognition. This system allows drivers to connect their smartphones, tablets, and laptops with the Malibu in order to do a number of amazing things. Connect your Apple or Android phone using Apple CarPlay or Android Auto to access the apps you use most such as music, maps, and messages. Make and receive hands-free calls and texts with little to no effort so that you can always stay in the loop, even while on the road. This is only the tip of the iceberg though. Upgrade, and you can get the personalized mobile app, wireless charging, and a built-in 4G Wi-Fi hotspot all for your added convenience. Features are what gives a vehicle that extra personality it needs to truly fit you and your lifestyle. That is why whatever features you decide to have in your 2019 Chevy Malibu should be ones that reflect who you are and what you desire out of life. The busy professional will love the Wi-Fi, the charming socialite couldn’t live without hands-free calling, and the caring parent would just panic without the best safety features. No matter who you are, and what life you choose to live, the 2019 Chevy Malibu will be ready and willing to make it even better. While the 2019 Chevy Malibu may look like a classy lady on the outside, under the hood, this is one fierce ride. Offering three engines options altogether, the 2019 Malibu gives drivers a choice between two turbocharged models and one hybrid model. The standard engine for most trims is a 1.5L 4-cylinder turbo engine that produces 160 horsepower and 184 lb-ft of torque that is paired with a continuous variable transmission. This engine also includes variable valve timing, a direct fuel injection, and stop/start tech in order to increase its overall efficiency and allow it to have an EPA estimated 36 mpg highway. If that isn’t enough though there is also the advanced 2.0L turbo 4-cylinder engine with 250 hp and 260 lb-ft of torque that is paired with a 9-speed automatic transmission that makes the for smooth maneuvering. This engine also contains Variable valve timing and direct fuel injection but has an EPA rating of 32 mpg highway. Finally, there are an alternative option with the 1.8L hybrid 4-cylinder engine that is designed with spark-ignition direct injection and variable valve timing for an outstanding EPA rating of 43 mpg highway and 49 mpg city. This engine also comes with some helpful tools such as a driver efficiency gauge so that you can carefully monitor your fuel. While many will say it is good enough to just have something that will get your from one place to the next, the 2019 Chevy Malibu has never been one to settle. This is why when you get behind the wheel of a 2019 Malibu you can expect to truly embrace every mile with a sense of joy and excitement. Often times the process of buying a vehicle is made difficult due to a lack of two essential things, transparency, and personalization. 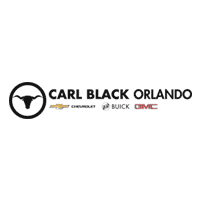 At Carl Black Orlando we are here to provide every driver with both of these in order to make the process flow as smooth as possible for everyone involved, especially you. A lack of transparency in a dealership will only build needless mistrust, and so we do away with all the shady stigmas and respectfully do our best to provide you with reliable information and the best deals we can possibly offer. As for personalization, it is simply a matter of knowing that every driver is unique, and as such deserves a unique buying experience. Our staff is trained to always listen carefully to your specific needs without generalizing as much as they are trained to know our inventory inside and out. We want each driver to feel that they are heard and that we can provide exactly what they need. No one deserves to go home unsatisfied, and that is why we at Carl Black Orlando will always do what we must to stay honest and keep it all about you.